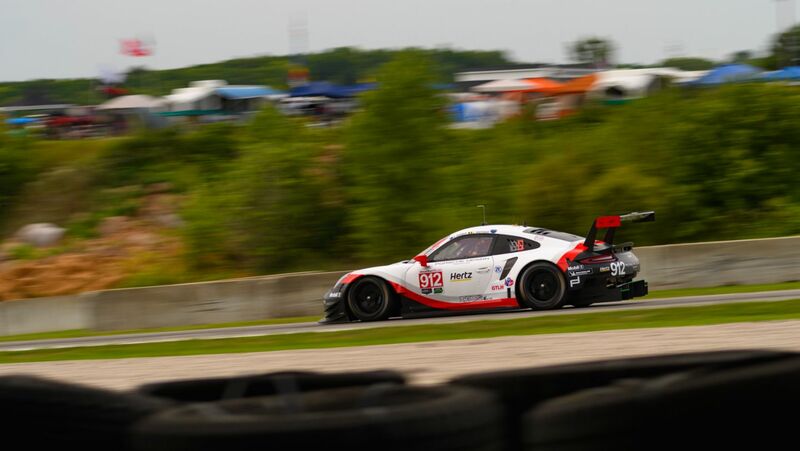 At round eight of the IMSA SportsCar Championship on Sunday, the Porsche GT Team secured positions four and five on the Road America racetrack. In the GTD class, Porsche works driver Patrick Long and Porsche Selected Driver Christina Nielsen from Denmark celebrated their first win together in the Porsche 911 GT3 R.
On the Road America racetrack in the US state of Wisconsin, New Zealander Earl Bamber and Laurens Vanthoor from Belgium scored fourth place in the #912 Porsche 911 RSR after a turbulent race. The sister car with drivers Nick Tandy (Great Britain) and Patrick Pilet (France) took the flag in fifth place. 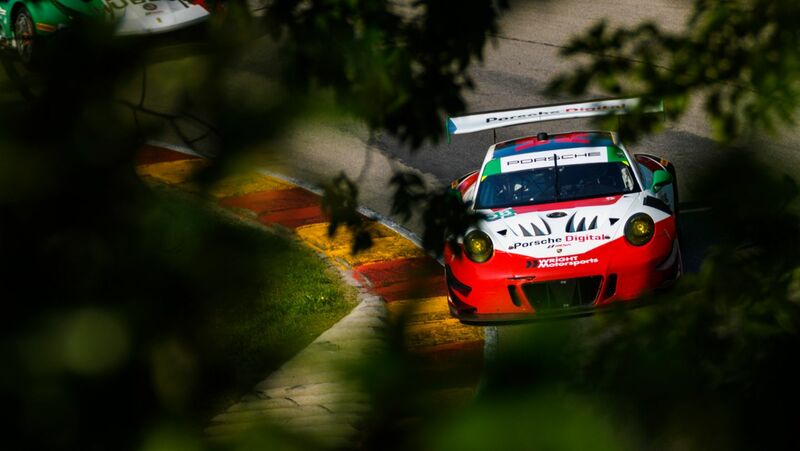 In the GTD class, Porsche works driver Patrick Long (USA) and Porsche Selected Driver Christina Nielsen from Denmark (both Wright Motorsports) celebrated their first win together in the Porsche 911 GT3 R.
For Porsche fans, the race at Elkhart Lake turned into an emotional rollercoaster ride. Grid positions four and eight initially dampened expectations, however thanks to a perfect strategy during the early stage of the race, start driver Tandy moved into the lead of the GTLM field. The UK race driver remained at the front until an hour before the finish. After a close duel with a pursuing vehicle, the #911 car was handed a drive-through penalty. At the end of the 2:40-hour race, Tandy ultimately reached the finish line in position five. Vanthoor and Bamber also treated spectators to some gripping race action. Taking off from fourth on the grid, Vanthoor fell back as far as eighth place with the #912 car over the course of the race. However, despite a number of caution phases, the two worked their way up through the GTLM ranks and missed out on a podium spot. Long and Nielsen put in a flawless drive in their Porsche 911 GT3 R. The pair had already posted pole position during Saturday’s qualifying on the 6.515-kilometre circuit. With an immaculate drive on Sunday, they achieved their maiden victory in the class for GTD vehicles. This marks the 542nd Porsche win in the 49-year history of IMSA. 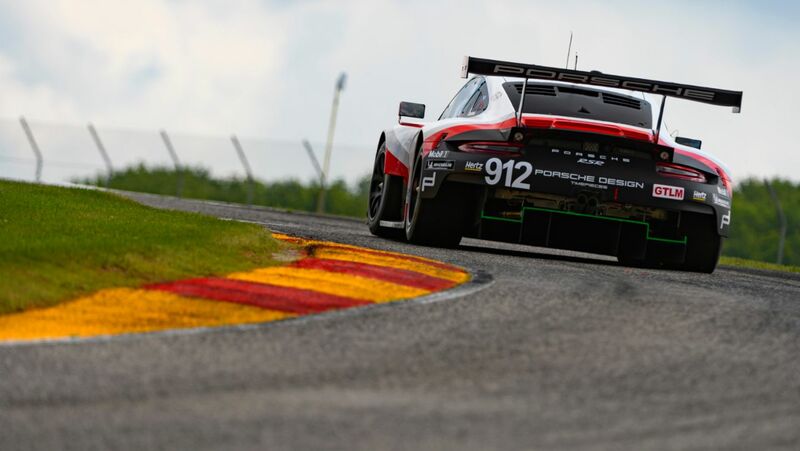 Competing for Park Place Motorsports, Patrick Lindsey and Porsche factory driver Jörg Bergmeister were thrown out of contention after contact with the track barriers. Round nine of IMSA SportsCar Championship will be held at the Virginia Raceway from 17-19 August. 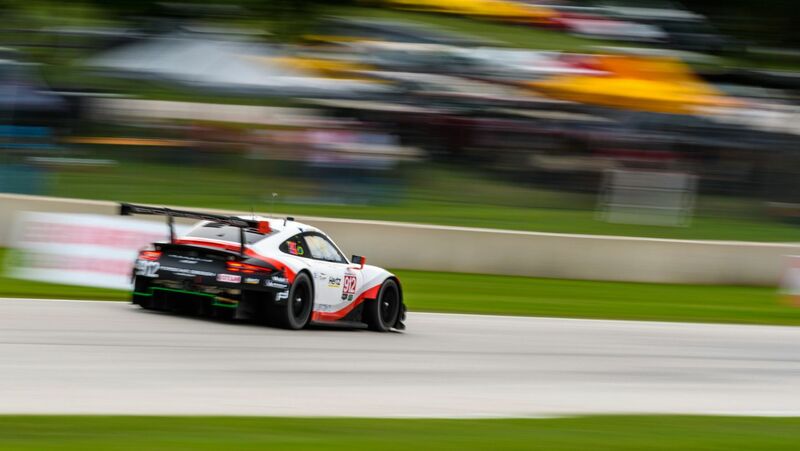 In the 15-minute qualifying session of the IMSA SportsCar Championship, Belgium’s Laurens Vanthoor turned his fastest lap in a time of 2:03.114 minutes. Nick Tandy from Great Britain planted the #911 sister car on the eighth spot in the hotly contested GTLM qualifying on the 6.515-kilometre racetrack. In North America’s premier sports car championship, Vanthoor and the New Zealander Earl Bamber share the cockpit for Sunday’s race. For round eight of the season, Tandy shares driving duties with his teammate Patrick Pilet from France. In the GTD class, Porsche works driver Patrick Long (USA) celebrated his second pole position of the season for Wright Motorsports. He is joined in the cockpit for the race by Porsche Selected Driver Christina Nielsen (DK). 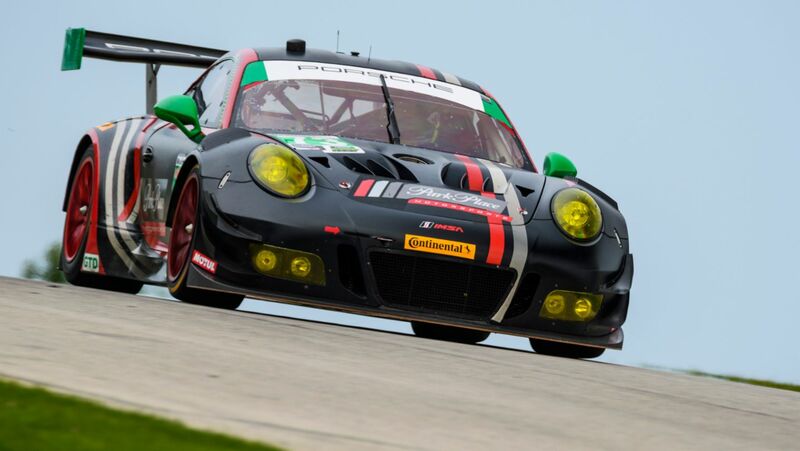 The second Porsche 911 GT3 R is fielded by Park Place Motorsports, for whom drivers Patrick Lindsey and Porsche factory driver Jörg Bergmeister qualified on P6. With the Road America race on 5 August, the IMSA SportsCar Championship takes a short trip into the past. The storied 6.515-kilometre circuit close to Elkhart Lake in the US state of Wisconsin is regarded as the birthplace of American sports car racing. The Porsche GT Team fields two 911 RSR in the GTLM class against strong opposition from BMW, Ford and Chevrolet. In its second season, the 510 hp 911 RSR has won two races so far in North America’s premier sports car race series: the 12 Hours of Sebring and at Mid-Ohio. 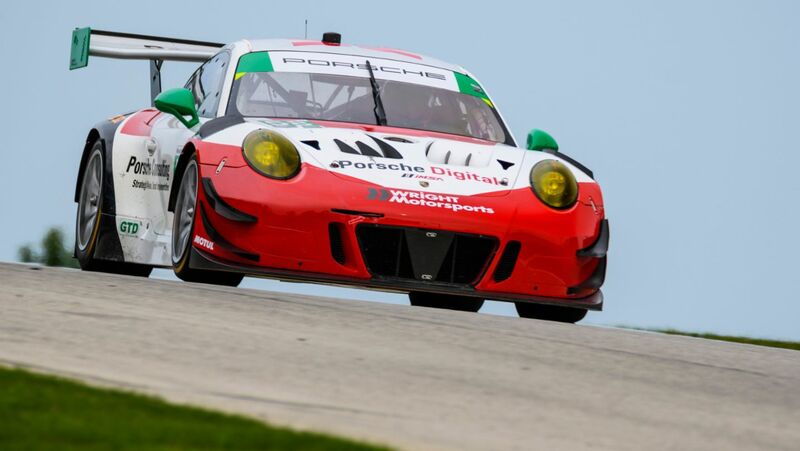 In the GTD class, Porsche’s customer teams Wright Motorsports and Park Place Motorsports compete with the 911 GT3 R.
Road America, which was opened in 1955, is the longest circuit on the IMSA SportsCar Championship calendar and is one of the few courses to have retained its original layout. 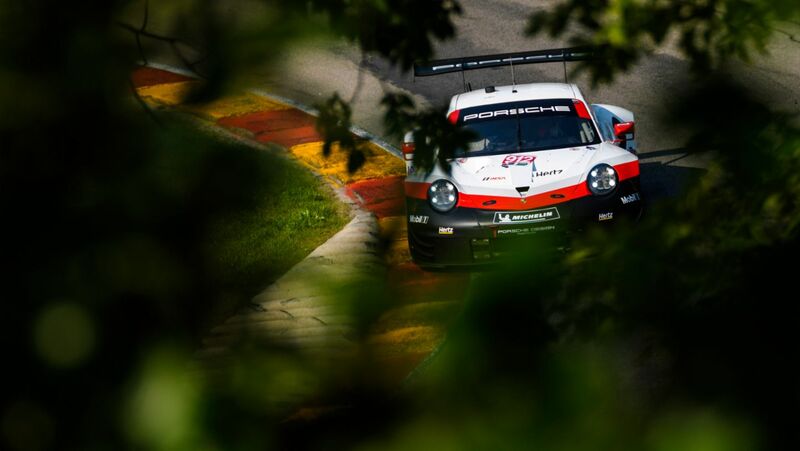 Sports fans regard the storied racetrack, on which Porsche celebrated a double GTLM class victory in 2015, as “America’s National Park of Speed”. They make their way to Elkhart Lake from all corners of the country. The historic course is two hours by car north of Chicago on Highway 67. The cockpit of the #911 Porsche 911 RSR is shared by the 2015 Road America winners, Patrick Pilet (France) and Nick Tandy (Great Britain). This season, the pair won the 12 Hours of Sebring. 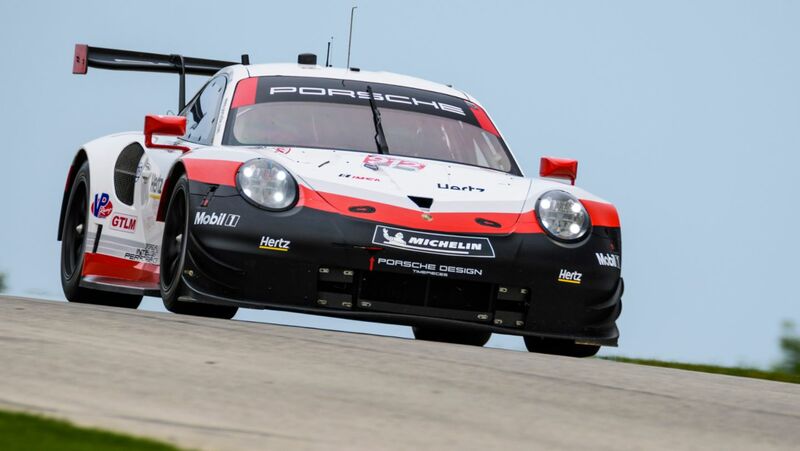 The winners of the Mid-Ohio race, Laurens Vanthoor (Belgium) and Earl Bamber (New Zealand), who recently climbed the podium in third at Lime Rock, share driving duties in the second 911 RSR (#912). In the GTD class, the Porsche customer team Wright Motorsports competes with the 911 GT3 R. In the cockpit of the #58 car are the works driver Patrick Long (USA) and Porsche Selected Driver Christina Nielsen (Denmark). Park Place Motorsports (#73) tackles the race with factory driver Jörg Bergmeister (Germany) and Patrick Lindsey (USA). The race takes off on Saturday, 5 August, at 13.35 hrs local time (20.35 hrs CEST) and runs over 2:40 hours. The race can be viewed live outside the USA and Canada on www.imsa.com.